UFC 220: Miocic vs. Ngannou takes place Jan 21st at TD Garden in Boston, Massachusetts. Heavyweight champion Stipe Miocic defends his title against top contender Francis Ngannou. 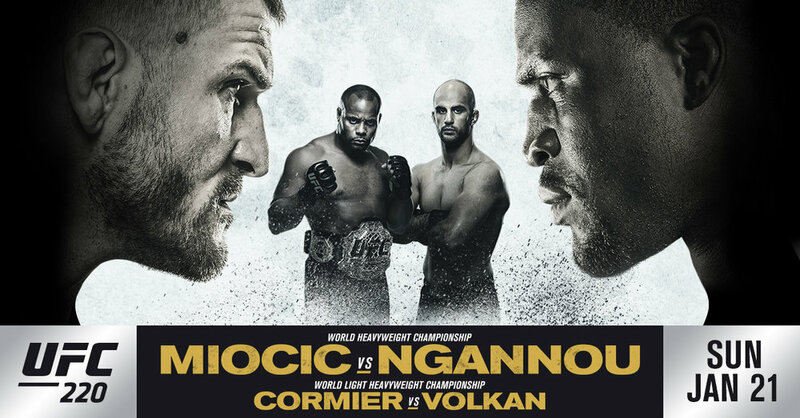 Additionally, in the co-headliner, champion Daniel Cormier defends his Light Heavyweight title against top contender Volkan Oezdemir.